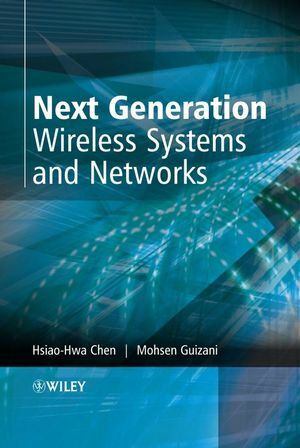 Next Generation Wireless Systems and Networks offers an expert view of cutting edge Beyond 3rd Generation (B3G) wireless applications. This self-contained reference combines the basics of wireless communications, such as 3G wireless standards, spread spectrum and CDMA systems, with a more advanced level research-oriented approach to B3G communications, eliminating the need to refer to other material. 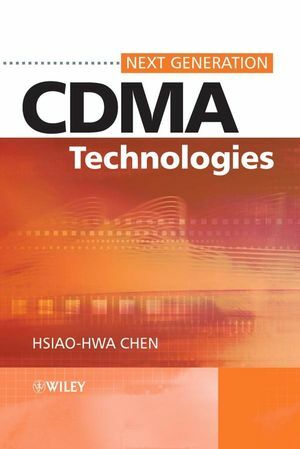 This book will provide readers with the most up-to-date technological developments in wireless communication systems/networks and introduces the major 3G standards, such as W-CDMA, CDMA2000 and TD-SCDMA. It also includes a focus on cognitive radio technology and 3GPP E-UTRA technology; areas which have not been well covered elsewhere. This essential reference will prove invaluable to senior undergraduate and postgraduate students, academics and researchers. It will also be of interest to telecommunications engineers wishing to further their knowledge in this field. Professor Hsiao-Hwa Chen is the Director of the Institute of Communications Engineering at the National Sun Yat-Sen University, Tawian. Professor Mohsen Guizani is currently an Associate Professor at the Electrical and Computer Engineering department of the University of Missouri-Columbia. Prior to joining the University, he was with the Faculty of Computer Engineering Department at the University of Petroleum and Minerals, Saudi Arabia. His research interests include Computer Networks, Optical Interconnection Networks for Massively Parallel Computers, Design and Analysis of high-speed network protocols, performance evaluation of computer systems, and wireless communications and networking. He served as a guest editor in the International Journal of Computer Systems and Networks, special issue on "ATM Switching/Networking Architectures and Performance", a guest editor of a special issue in the INFORMATICA Journal on "Design Issues of Gigabit Networking", and a guest editor of a special issue of the International Journal of Communication Systems on "Wireless Local Loops and Wireless ATM Networks". 1.1 Part I: Background Knowledge. 1.2 Part II: 3GMobile Cellular Standards. 1.3 Part III: Wireless Networking. 1.4 Part IV: B3G and Emerging Wireless Technologies. 1.5 Suggestions in Using This Book. 2. Fundamentals of Wireless Communications. 2.1 Theory of Radio Communication Channels. 2.4 Multiple User Signal Processing. 3. 3G Mobile Cellular Technologies. 4.1 IEEE 802.11 Standards for Wireless Networks. 4.2 IEEE 802.11a Supplement to 802.11 Standards. 4.4 IEEE 802.15 WPAN Standards. 4.5 IEEE 802.16 WMAN Standards. 4.6 ETSI HIPERLAN and ETSI HIPERLAN/2 Standards. 5.1 Some Notes on 1G/2G/3G/4G Terminology. 5.3 IPv6 versus IPv4 . 5.5 Wireless Application Protocol (WAP). 5.6 IP onMobile Ad Hoc Networks. 6. Architecture of B3G Wireless Systems. 6.1 Spectrum Allocation andWireless Transmission Issues. 6.2 Integration ofWMAN/WLAN/WPAN andMobile Cellular. 6.4 Multimode and Reconfigurable Platforms. 6.7 Satellite Systems in B3G Wireless. 7. Multiple Access Technologies for B3G Wireless. 7.2 A Feature Topic on B3GWireless. 8.2 Spacial Diversity inMIMO Systems. 8.3 Spacial Multiplexing in MIMO Systems. 8.6 Unitary Codes Based STBC-CDMA System. 8.7 Complementary Coded STBC-CDMA System. 9.2 History of Cognitive Radio. 9.3 What is Cognitive Radio?. 9.4 From SDR to Cognitive Radio. 9.5 Cognitive Radio for WPANs. 9.6 Cognitive Radio for WLANs. 9.7 Cognitive Radio for WMANs. 9.8 Cognitive Radio for WWANs. 9.9 Cognitive Radio for WRANs: IEEE 802.22. 9.10 Challenges to Implement Cognitive Radio. 9.11 Cognitive Radio Products and Applications. 10. E-UTRAN: 3GPP’s Evolutional Path to 4G. 10.1 3GPP TSG for E-UTRAN. 10.3 General Features of E-UTRAN. 10.6 E-UTRAN Radio Interface Protocols. 10.7 E-UTRAN Physical Layer Aspects. A: Orthogonal Complementary Codes (PG = 8 ∼ 512). B: MAI in Asynchronous Flat Fading UWB Channel. C: MI in Asynchronous Modified S-V UWB Channel. D: Proof of Equation (8.44). E: Properties of Orthogonal Complementary Codes. F: Proof of Equation (8.66).